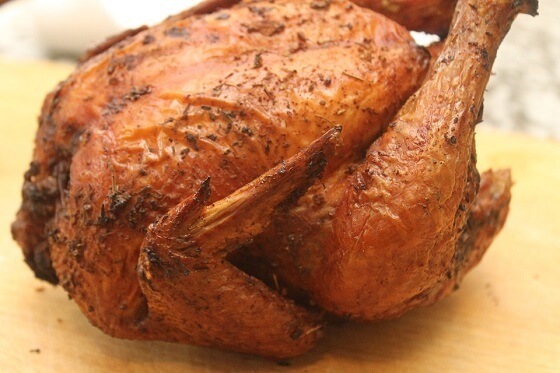 A roasted chicken is an easy meal but one that people just don’t do anymore. It seems too time intensive, but it is one of those things you can pop in the oven and do other things around. A typical broiler weighs in at five to six pounds and is good for a family of four, leaving some leftovers for the next day. Be sure to cover the breast so it doesn’t dry out and cook to an internal temperature of 165 degrees Fahrenheit.